What a combination here we have both wall and floor termite damage in this situation. 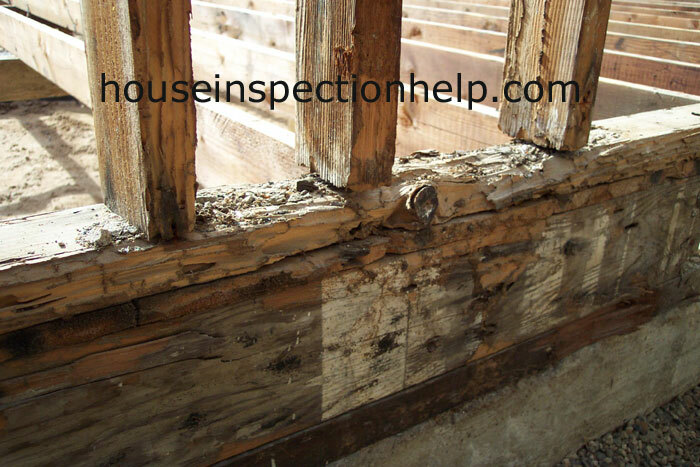 By the looks of this picture the lower wall framing plate looks severely damaged from the termites. If you look in the bottom right hand corner you'll notice small pea gravel on the ground. This tells us there were no sprinklers back here at the time of our home inspection. This does not mean the damage wasn't caused by sprinklers in the past spraying on the stucco wall and then moisture seeping into the wood framing attracting the termites. 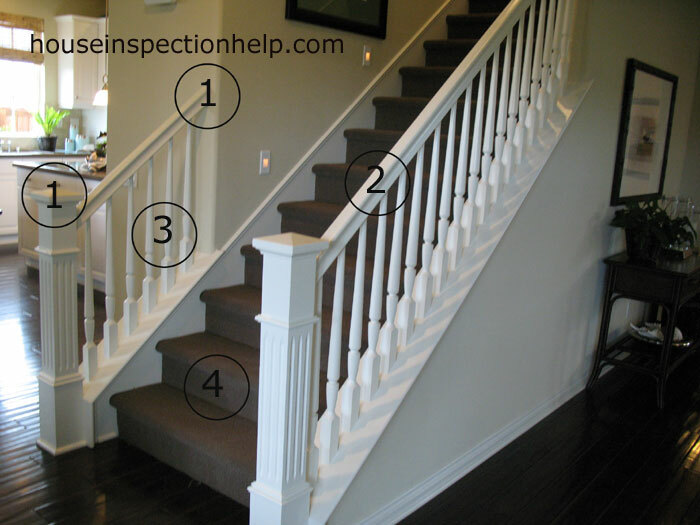 As a home inspector you will have to keep these things in mind. 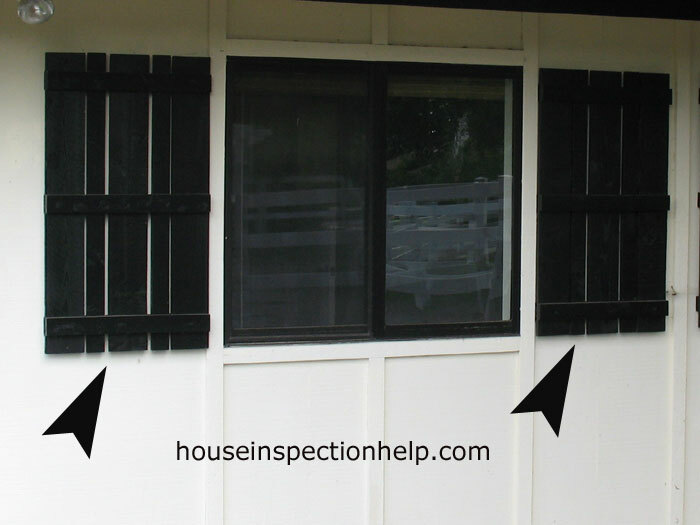 While looking at the outside of his house before the demolition and removal of the drywall and stucco there was no visible damage even though the stucco was a little soft. 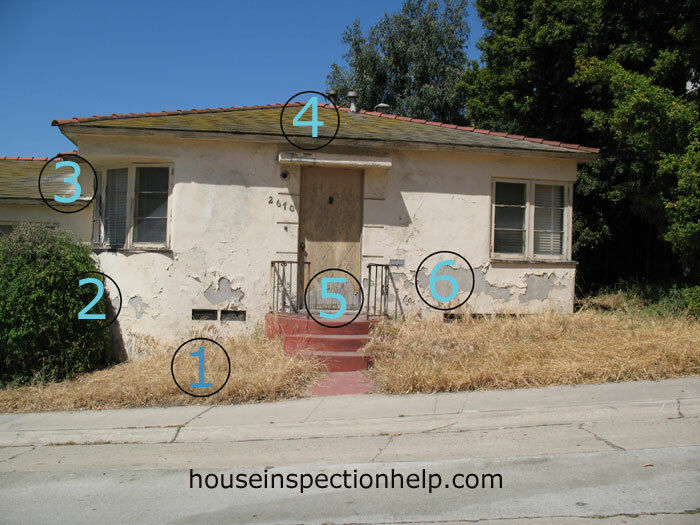 Be aware when inspecting a house that just because something is there like the gravel does not mean there wasn't a side yard there at one time or even overspray from a neighbor's yard on to the stucco eventually creating the wall and floor termite damage.